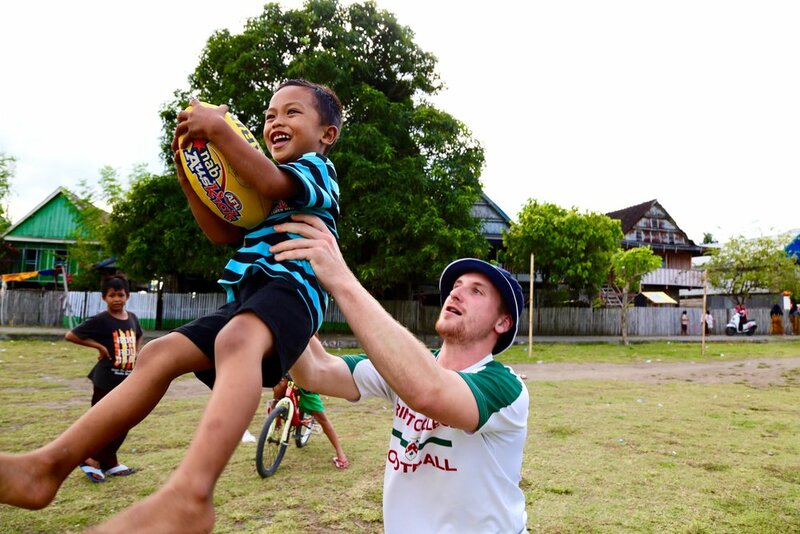 Our journey commenced with a pilot AFL Program in December 2016 in a rural village, Tanah Beru in South Sulawesi, Indonesia. At the time, our founders were participating in an Australian and Indonesian government collaboration, ‘the Australia-Indonesia Youth Exchange Program (AIYEP)'. Over the course of just four weeks, we were able to implement AFL within the sporting curriculum of local high schools, and successfully develop meaningful relationships with the community. In setting up our program, our team was careful to conduct pre and post implementation surveys as a means of evaluating our pilot AFL program. Our results demonstrated the program's ability to increase participation in sport by female students, and raise awareness and positive attitudes about Australia. Video credit - Ms Abbie Boyd.